Having graduated from a college in Beijing, the Chinese national arrived in Japan in 1986 to study law at Toyo University. He went on to work for a number of companies, including a Japanese menswear maker, and eventually opened a Chinese restaurant in Saitama Prefecture outside Tokyo. Zhen now heads the No. 2 non-Japanese section of Gifu Ippan Rodo Kumiai (General labor union in Gifu) here, where he uses his expertise in labor movements to improve the lot of foreign interns and other workers facing harassment from superiors or who are cheated out of their full wages. In late February, Zhen visited a sewing firm in Imabari, Ehime Prefecture, after learning through a social networking site that three Chinese technical interns had not received any overtime pay even though their training period was set to end in March. The trainees e-mailed attachments of documents detailing their working hours and the payments they had received to date. Zhen explained that employers cannot reject requests for dialogue from labor unions, adding that he would talk with their employer on their behalf. He then asked the interns to sign forms consenting to become union members. When Zhen met the Japanese president of the firm, he explained that the trainees had joined the labor union and the company was obliged to pay them a total of 6 million yen ($53,800) in overtime. He presented documents to state his case. But the president refused to negotiate, preferring to speak to the three trainees privately. Zhen said that banning employees from joining a labor union or discriminating against union members was against the law. After three days of talks, the president said his company would consider paying the withheld overtime. Zhen got interested in the foreign intern issue while operating his Chinese restaurant. He said Chinese technical trainees who frequented the premises told him horror stories that far surpassed those of trainees working in the place where he was a salaried worker in Japan. In 2004, when Zhen visited the prefectural government office to assist exploited Chinese interns, an official put him in touch with the Zentouitsu Workers Union in Tokyo, which anyone can join. It was then that he learned that non-Japanese also have the right to collective bargaining. It was not long after that meeting that revelations emerged of unsavory working conditions facing foreign trainees in Gifu Prefecture, home to many sewing businesses. Zhen made frequent trips to Gifu from Saitama Prefecture, where his restaurant was situated. In 2010, he closed his eatery to focus on labor union activity. Chinese whom Zhen has helped spread word of his assistance on Chinese social networking sites, enhancing his reputation and generating a flood of inquiries and requests from across Japan. Zhen always sides with foreign interns when negotiating labor issues with companies, and is always willing to rush to an airport at a moment's notice to intervene when an individual is facing pressure by his or her employer to leave Japan. Zhen has made quite a name for himself in his tireless efforts on behalf of foreign interns. Over the eight years through August 2018, his section in the labor union has received 1,191 inquiries, mainly concerning unpaid salaries, covering up occupational accidents, violence, sexual harassment and abusive managers. The 390-strong union is roughly split between group and individual members. Zhen took the trouble to refurbish a building near JR Gifu-Hashima Station in Gifu Prefecture so technical interns at risk of losing their jobs and place to live during negotiations with their employers could take shelter there. Most evenings, Zhen has dinner with 20 or so former trainees and others staying in the shelter. Zhen said technical interns who visit him do not necessarily join the labor union. “Trainees are allowed to stay in Japan for only a limited period, so some prefer to earn money rather than 'waste time’ holding labor negotiations with their employers,” he said. “That, to be fair, is perfectly understandable. It's human nature, I guess." Zhen encourages downtrodden interns to loudly assert their rights, especially when employers remind them that they came to Japan of their own volition, "because you will not be changing things for yourself, but those who will come next." 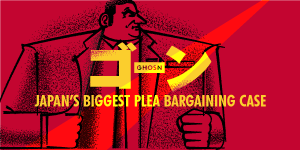 Other labor unions have also held negotiations with employers on behalf of non-Japanese workers. The Tokyo-based Federation of Workers' Union of the Burmese Citizen in Japan was established in 2002 to support trainees from Myanmar with the assistance of the Japanese Association of Metal, Machinery, and Manufacturing Workers made up of labor unions of small and midsize parts makers and other businesses. The General Union in Osaka Prefecture, which has been assisting foreign nationals working as English teachers since the 1990s, set up a section for South Americans in 2009 to help foreign workers of Japanese origin who were dismissed in the global downturn triggered by the collapse of U.S. investment bank Lehman Brothers. Lawyer Chikara Shimasaki, a labor union specialist, said Japanese citizens can only benefit when labor unions extend a hand to foreign workers. “Some labor unions have played a significant role in resolving work problems facing non-Japanese employees who feel isolated in this society, especially technical interns confronting terrible conditions,” he said. “Interactions with foreign trainees provide a good opportunity for Japanese to re-evaluate the importance of labor unions and the basic ideas behind them," Shimasaki said. "I hope there is a further spreading of support."